We've all got to choose what type of Halloween decorations we want this season. Figure out who your audience is, and then you'll know what kind of theme you should pick from. Are you looking to decorate for a sophisticated or older audience? Skip the dancing skeletons and fake blood; Grab some fresh pumpkins and foliage instead. Want to entertain your young kids? Focus more on cute and playful decorations. Want to scare the pants off your friends and family? 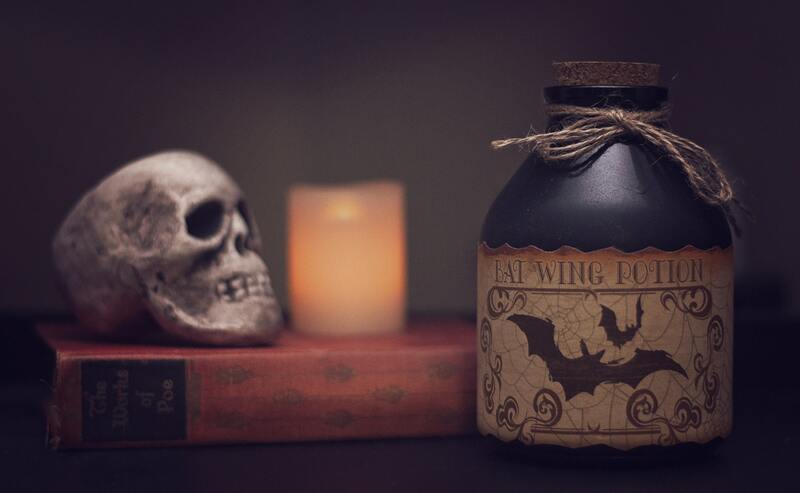 We'll be your spooky interior designer. We've prepared 3 different Halloween themes, and we think you'll love at least one of them. Jack-O-lanterns don't have to be scary. There are so many ways to carve one up. Plus, a night of pumpkin carving is great fun with the family! You don't have to do the classic design: 2 Eyes, a sharp nose, and a jagged smile. 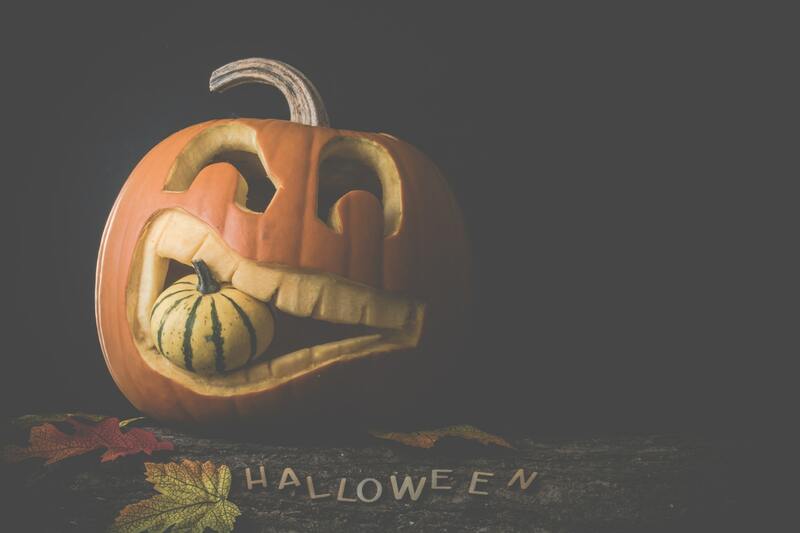 There are examples online of jack-O-lanterns designed to look like cats and dogs, cartoon characters, and fun smiley faces! There are plenty of incredible designs tutorials online. Plus, you don't have to go all black and orange. Any colors will work. Perhaps, themes related to your family's costumes can inform the color palette. Is your family dressing up as the Avengers this year? Reds, blues, and gunmetal grays could be an awesome and fun way to be original this season. Halloween is about dressing up as your favorite character, so don't let traditional decorations constrain you. Turn your home into an army fortress, the Batcave, or Spongebob's Bikini Bottom if you'd like! Some homeowners love to decorate and still want to maintain a mature atmosphere in their home. This is also a great idea since you don't have to remove your decorations after Halloween has concluded! Think golden brown and red leaves, rustic looking wreaths, flowers, and pumpkins. Plus, this is a great opportunity for the frugal and the crafty. All you need a little creativity and some leaves from the yard. You can turn your front door into a rustic decorative experience, or you can turn your dinner table into a miniature pumpkin patch. My favorite autumn-themed craft is making tree-stick hedgehogs. They're overwhelmingly cute and so easy to make. 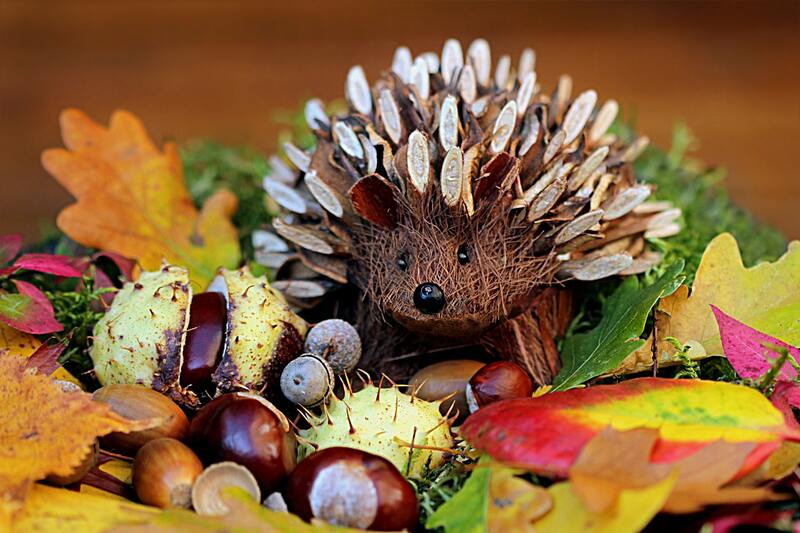 Simply combining some cut twigs, pinecone needles, and glue will get you a cute seasonal "pet" that will be a fantastic conversation starter at the dinner table.! This one's for the horror junkies out there. Luckily for them, (and unluckily for their scared guests) scary Halloween decorations are easily accessible. You can grab skulls, fake hands, fake blood, bats, skeletons, and other plastic creepy crawlies. Spreadable spider webs are available at any Halloween store and are an absolute must for a scary Halloween themed home. Black lights and fog machines are awesome decorations as well, and totally make your home stand out! There is likely a bit more investment when purchasing scary Halloween props, however, these can be saved and used for years to come! Ultimately, there's no right or wrong answer to how you should decorate. This season is all about having fun, it's all about family, and it's all about quality time and connections. Decorations are about enhancing what the season is really about. Show this blog post to your family or roommates, and figure out which way you should go. You might set up homemade wreaths or cartoon-themed pumpkins. However, I'll be decorating with spiders, ghosts, and mummies... and that's a wrap! What Can up to $700,000 Get You In South Orange County? When looking for a new home, it’s important to know how much “home” your money can get you. That's why we did th hard work for you! We had a blast at the 2019 Meadow Park Jog-A-Thon! Read my experience as a sponsor and volunteer at the event! Should I Sell My Home Right Now?